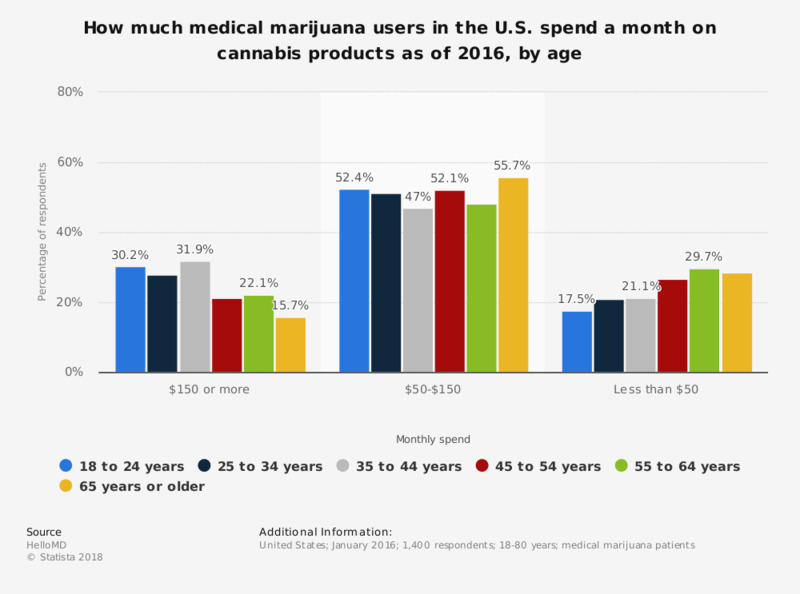 This graph shows how much medical marijuana users in the U.S. spend per month on cannabis products, according to a survey in January 2016, by age. It was found that most respondents of all ages spend between 50 to 150 U.S. dollars a month on cannabis products. The group aged 35-44 years had the largest share among those spending more than 150 U.S. dollars per month. Original question- "How much do you spend on cannabis products"